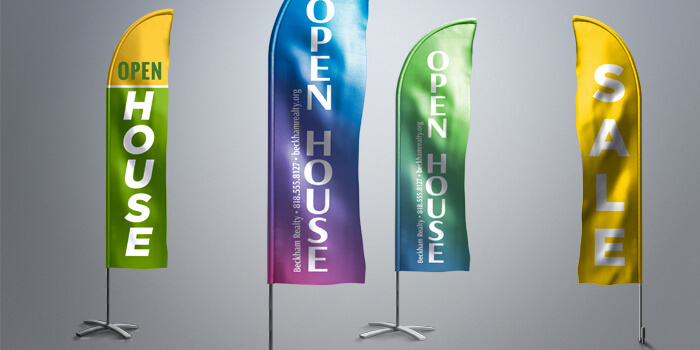 Our custom feather flags and teardrop flags are printed using direct to fabric dye sublimation. These high grade flags are printed on 3oz Polyester. These flags are highly recommended for advertising businesses, events, and trade shows indoor or outdoor! With UZ Marketing - Print Materials, you also get to use our free online designer studio, the "Easy Design Tool". This makes it easier for you to create your own professional print materials. Simply add text, photos, or logos and you’re done! Full color refers to the 4 primary colors used in the CMYK printing format. 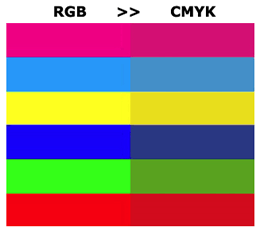 Cyan, Magenta, Yellow, and Key (black) are used to replicate nearly any color from digital to physical. If you send us an RGB file, there is a chance that a color shift may occur and you may not be satisfied with your job. You should always start and finish your designs in CMYK color mode. Hardware includes; Pole and either Ground Stake or Cross Base. If NONE is selected, you will only receive the printed flag. Click to download assembly instructions. Our turnaround times refer solely to production. Once production is complete it may take up to one business day for orders to ship or be available for pick-up. Local delivery orders will be delivered on the next scheduled day (excluding the day of production). It is our goal to release all jobs as soon as completion of production allows. The last day of your turn-around is not a guaranteed "in hands" date. Do you need a professional design? Choose from our thousands of template designs on our website! Create your own professional design using our free online design studio!